Exceptional Fertility Services and Affordable Costs. Our world-class fertility clinic in North Cyprus is focused on personal attention, innovative fertility treatments, and affordable costs. 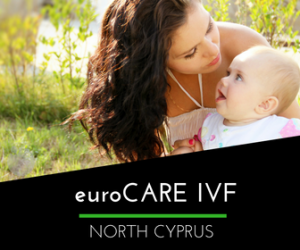 As a leading destination for fertility care, euroCARE IVF doctors stay committed to our patients to achieve one goal — parenthood with the least invasive, least costly means available to you. Here at our fertility clinic in Nicosia, your treatment will be monitored from beginning to end. Tandem cycle with egg donation IVF is becoming an increasingly popular infertility treatment. At euroCARE IVF, we allow you to use both your own eggs and donor eggs during one cycle, guaranteeing healthy embryos, even if your own eggs fail. Many women produce low-quality eggs, which may or may not fertilize. For such women, this fertility treatment is a great option as it allows them to use their own eggs if possible. Beyond our expert fertility team, Dr. Armağan Ulubaş, the success rates for a tandem IVF cycle are one of the primary reasons why the treatment at euroCARE has become so popular. The process for a Tandem Cycle will follow closely to the standard IVF treatment steps. Initial testing is required in order to determine the correct medication when preparing for the best treatment plan. You and your donor will need to synchronize your menstrual cycles by using a combined oral contraceptive pill. On day two of your period, you will begin the stimulation injections. At the same time in Cyprus the Doctor will begin the stimulation phase for your chosen donor. When you arrive in Cyprus, the Doctor will confirm when your eggs are ready and the hCG injection will be administered. This trigger injection prepares the eggs in the final stages of their maturation — 36 hours later your eggs will be collected and your donors eggs will also be collected on the same day. You will be lightly sedated for the procedure which takes 20-30 minutes. All of the eggs obtained will be fertilized with your partner’s (or donor) sperm and the resulting embryos are monitored as they develop. Both sets of egg will develop separately, so it is clear to see the quality of your own embryos separate from the donor embryos. The embryologist will monitor both sets of embryos and assess their quality. You will then make the decision regarding whether to transfer your own embryos, the donor embryos, or a combination of both. What are the advantages of tandem IVF cycle? The biggest advantage of tandem IVF treatment for women with low-quality eggs or a low ovarian response is that it gives them the best chance of becoming pregnant in a single cycle without completely ruling out the use of their own eggs for pregnancy. In a conventional IVF cycle, donor eggs are not used. Women with low-quality eggs or a low ovarian response are less likely to become pregnant using conventional IVF treatment. The costs, and emotional stress, increases with each additional cycle — a tandem IVF cycle combines conventional IVF treatment with egg donation. With attractively low costs for Tandem IVF Cycle, euroCARE IVF has emerged as on the most cost-effective fertility destinations in the world.